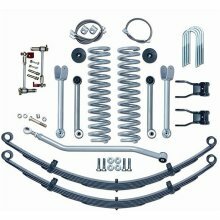 The Rubicon Express 4.5" Super-Flex suspension system for the XJ is designed as a complete suspension system replacement. 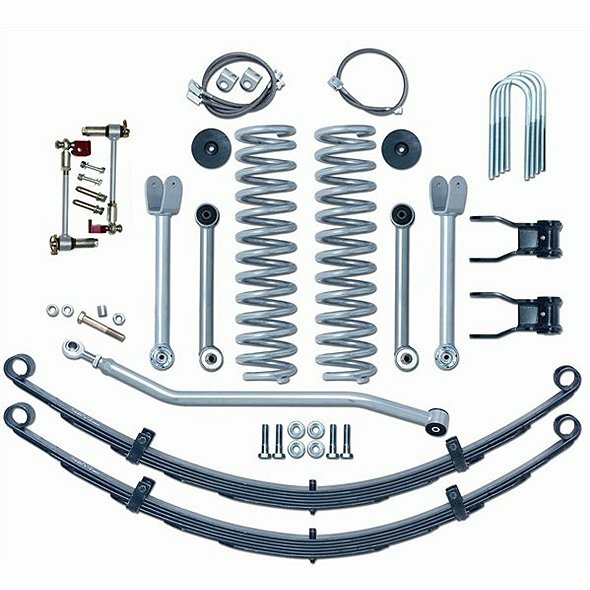 The stock components of your Xj's suspension are upgraded with Super-Flex front control arms (allowing for proper caster adjustments), front coil and rear leaf spring and all the other components required to outfit your Cherokee with superb 4.5" suspension lift system. Note: The installation of a slip yoke eliminator and a rear CV driveshaft on the stock NP231 or the NP242 transfer case is highly recommended.